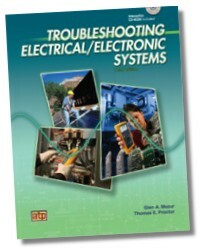 Troubleshooting Electrical/Electronic Systems covers all aspects of troubleshooting electrical and electronic systems. 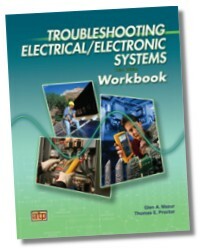 The text/workbook is designed for use in the electrical industry, electrical training programs, and related fields. 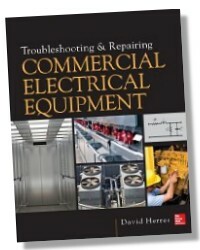 Each chapter contains electrical and electronic system applications, step-by-step troubleshooting procedures, and hands-on troubleshooting activities that reinforce the concepts presented. An interactive CD-ROM is included. 592 pages 8-1/2 x 11in. Activity oriented with 27 Tech-Cheks and 27 Trade Tests corresponding to the 27 chapters in Troubleshooting Electrical/Electronic Systems. 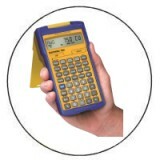 Also included are over 140 worksheets based on nine sets of electrical/electronic prints.